While I was in New York I couldn’t resist a little trip to Sephora. I didn’t go in with any intention to buy anything specific, my only agenda was to find something and buy it. A gal has gotta buy some make-up when in NY, right?! So off I went into Sephora and the one thing that caught my eye was the It Cosmetics CC+ Oil-free matte full coverage cream (quite a mouthful!). I’d seen the original version of this around a lot and it seemed to be getting some brilliant reviews, which is probably why it was out of stock in this Sephora. I find myself reaching for oil-free and matte products when I can though – my skin can be problematic so I like to avoid oils, and it can sometimes be on the oilier side anyway. So, this version would suit me fine. So let’s get down to it! What do I think of it? This CC+ cream is oil-free, matte and has a very handy SPF 40. It delivers colour-correcting full coverage, anti-ageing skincare and gives a poreless, natural-looking matte finish. It camouflages skin imperfections without creasing or cracking and is tested to reduce shine and control oil for up to 12 hours. 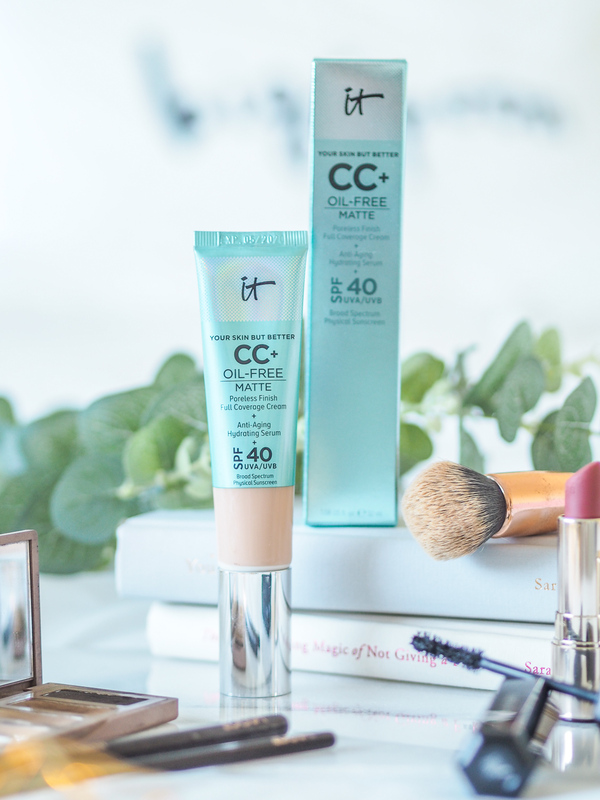 I can 100% see why the original It Cosmetics CC Cream was getting so much hype online – this is possibly my favourite base to date. Despite being named a CC cream, it performs like a foundation giving amazing coverage. Whilst I used this in New York I can’t necessarily agree with the matte finish, but this is probably due to the fact we were in 30-degree heat and the ‘shine’ was probably more sweat – oops. Since using it at home and popping a bit of powder on top it’s been a dream. Matte yes, but not making my face appear ‘flat’ in any way. The SPF 40 is also a total bonus – I’d never suggest relying on the SPF in a foundation alone, I always like to apply some separate SPF beforehand anyway. Nonetheless, SPF 40 is pretty impressive for a foundation and useful for days you forget the suncream! A final perk of this product is its ingredients, in particular, charcoal, colloidal clay and tea-tree extract. The charcoal acts to detoxify, the clay to absorb oil and the tea tree to combat blemishes. I always worry what foundations are doing to my skin when it’s sitting on it, but I feel less anxious knowing this has some of the goodness in it that a lot of my skincare does. A great advancement of the original It Cosmetics CC Cream, I know this is going to be a firm favourite in my makeup stash for a while. 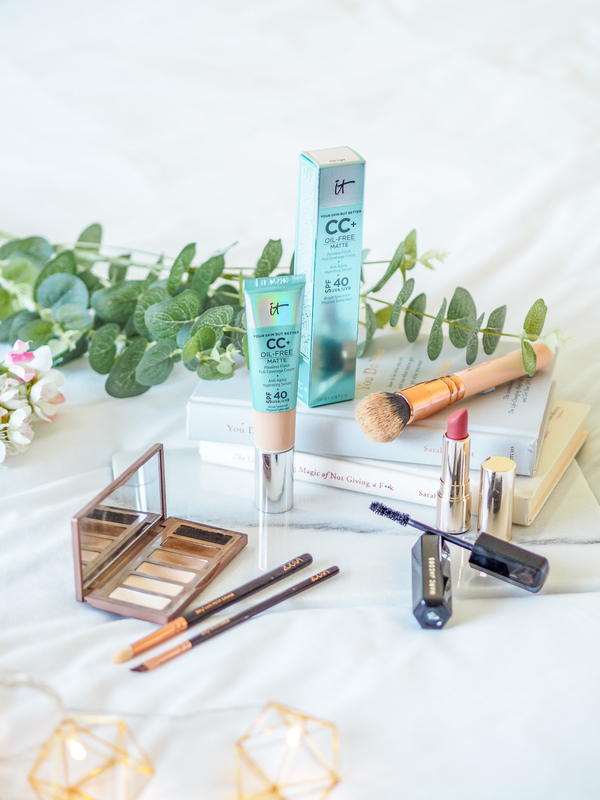 Have you tried the original It Cosmetics CC Cream? Or will you be keen to give this one a go? "Glossybox September: Back to School Edition"